It’s been a long time coming but it’s finally Fight Night (Excuse this post for actually being a day early, but I won’t be at a computer tomorrow). 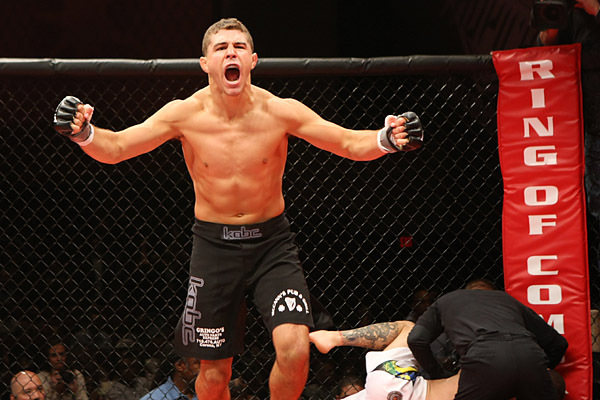 It’s been a long road to get back here for Iaquinta. A difficult loss in the TUF Finals, rehabbing his knee after surgery, and then having his opponent in Joe Proctor pull out of their April fight just two weeks before the event. From there Iaquinta took some time to get his own body back to 100%. Once that happened it was a waiting game. Waiting every day for the phone to ring about a new opponent. Finally that phone call came, and after a 15 month layoff Iaquinta will put all of that aside and step back into the Octagon once again. Iaquinta’s journey in the UFC started just over a year ago on TUF Live. After fighting his way onto the show beating Jon Tuck, Al showed why he was Urijah Faber’s first pick recording wins over Myles Jury, Andy Ogle, and Vinc Pichel taking him straight to the finals. The world got an inside look of the hard work and determination of Iaquinta on a daily basis. His focus and toughness was outstanding, setting the bar for other fighter’s on his team to match that same intensity. Al’s run on TUF Live was an impressive one. Iaquinta will bring that same intensity and focus back into the Octagon Saturday night when he takes on Ryan Couture at UFC 164. A healthy Iaquinta will look to step back into the cage and remind everyone all about the dominant fighter they saw on TUF Live. This time Iaquinta comes in with a big advantage from his previous fight. A full training camp under his belt, and more importantly a healthy one. Leading up to his fight in the Finale Iaquinta had fought three times in just over two weeks. Now it’s time to put all of the past aside. It’s only about two people and that’s Iaquinta and Couture. This is a very important fight for Iaquinta. It’s time for him to go in and send a message to this division, to this sport, that Al Iaquinta is not someone who should be taken lightly. That his hard work and dedication is only the beginning. Al is one of the toughest, hardest working people in the game, and couldn’t be more deserving of this opportunity. This is a great match up for Iaquinta and with no disrespect to Couture, I think he’s outmatched. He’s going to have a difficult time matching the intensity, skill set, and endurance Iaquinta will bring to this fight. Get excited Iaquinta Nation it’s Fight Night. Let’s go to war.